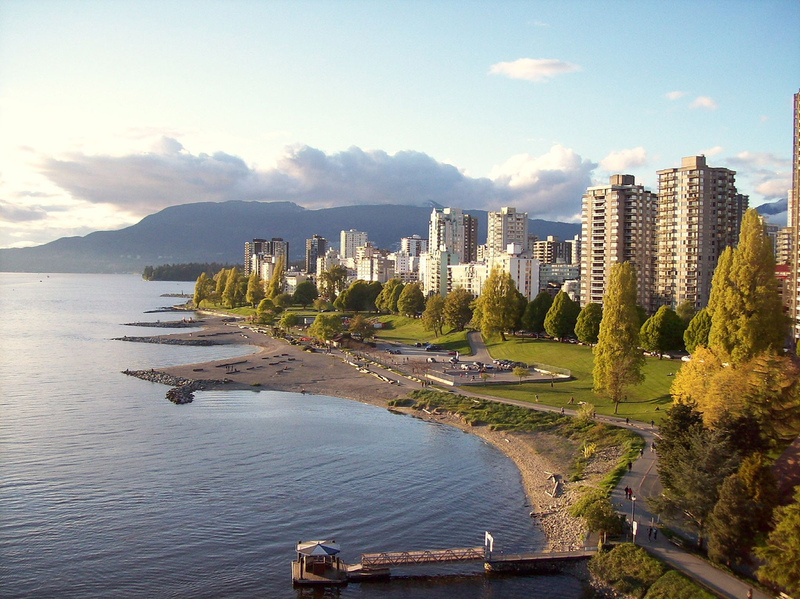 Vancouver is a wonderful, walkable city that happens to be blessed with four outstanding Fairmont properties. 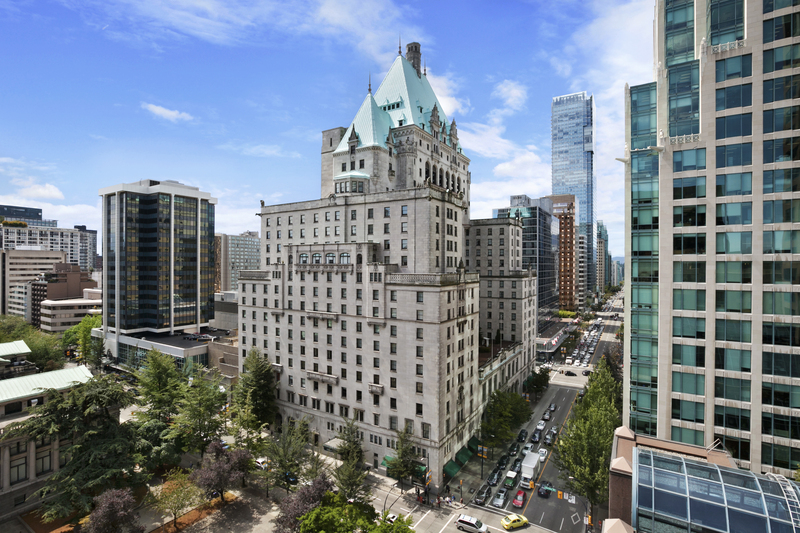 The most impressive is Downtown’s Fairmont Hotel Vancouver, standing tall under an oxidized copper roof within a grand edifice that debuted on the eve of King George VI and Queen Elizabeth’s Royal visit in 1939. A city landmark, the building’s soaring arches and peaked towers trigger visions of top hatted barons and bejeweled doyennes striding its halls in a different century. Today, it’s more likely to be attractive urbanites rubbing elbows over maple hickory Old Fashioneds in the stylish lobby bar and restaurant Notch 8. Which is where ENTREE landed moments after check-in, soaking up the scene with an impeccable trout amandine and a glass of Okanagan Valley chenin blanc. From there, we retired to our room, classically-dressed in glossy dark wood furniture, views of the adjacent Vancouver Art Gallery, and most importantly, a bed of soft sheets we slept quite soundly in. Upon awaking, we took our coffee in a stately armchair, studying our local map. With characteristic Fairmont kindness, a concierge in the white marble-encased lobby was able to recommend an excellent breakfast spot as we wound our way to must-see Stanley Park for a horse-drawn trolley ride to glimpse totem poles, bald eagles, and the surrounding sea. Vancouver’s streets are clean and its citizens welcoming, making our walk and its many diversions pleasant and exciting. We popped into the Bill Reid Gallery, collecting the work of Vancouver’s legendary indigenous artist, and enjoyed a virtual video “flight” swooping over The Great White North’s mountains and rivers in an incredible family-friendly ride called FlyOver Canada by the city’s waterside. The staff at Fairmont Hotel Vancouver was always waiting with a smile upon our return for needed rest, afternoon high tea back at Notch 8, a deep tissue massage at modern, masculine Absolute Spa, or refreshment at the indoor pool in the health club. 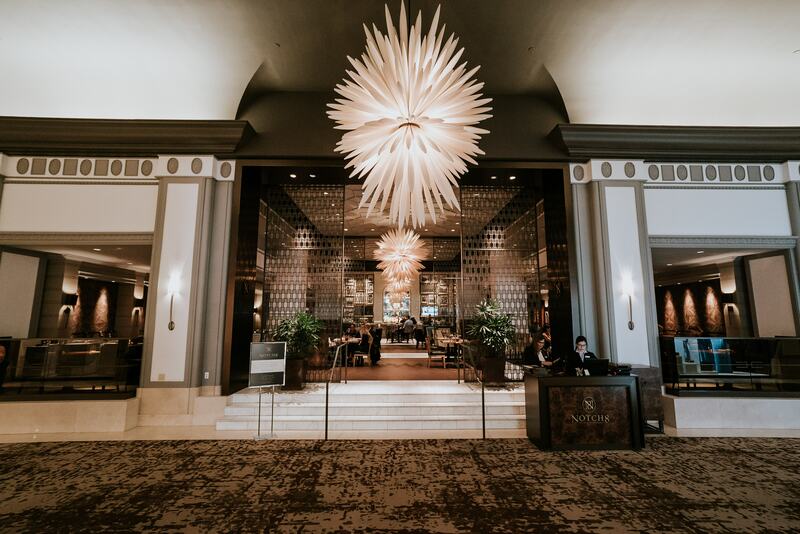 The history of the building and Fairmont’s outstanding attention to service combined to make the hotel experience not just luxurious and comfortable, but a seamless part of the experience and history of this engaging city. Fairmont Hotel Vancouver, 900 West Georgia Street, Vancouver, British Columbia, Canada V6C 2W6, 604-684-3131, http://www.fairmont.com/hotel-vancouver/. Whenever we get to Vancouver, we make plans to dine at Blue Water Cafe. 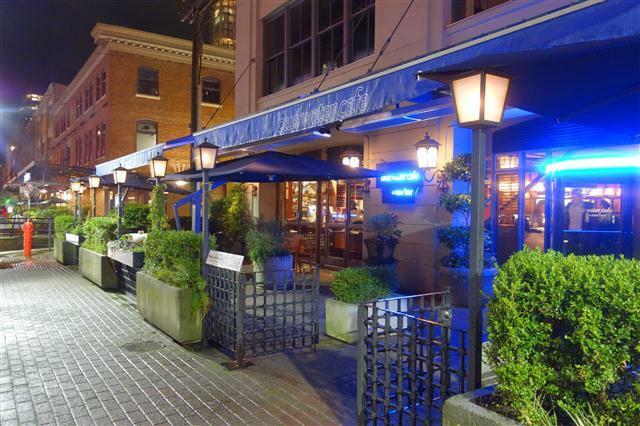 The restaurant is widely acknowledged and constantly awarded as one of the city’s best, a showcase of British Columbia’s sterling seafood and service. Executive chef Frank Pabst’s commitment to sustainability makes this terrific place only better, as much as his ability to coax the best flavors out of shellfish and whole fish in stunning presentations. ENTREE went full tasting menu for our recent dinner, a lovely four-course experience paired to splendid wines that leaned towards the regional. A miso-glazed sablefish was the evening’s most luscious bite, a difficult designation given the pristine procession of Black Pearl oysters, smoked sockeye salmon terrine, Dungeness crab, and ling cod served with chorizo sausage in a smoked paprika sauce. Live tanks are on hand, as well, with Alaskan king crab, lobster, spot prawns, and Dungeness at their freshest. The service, particularly from our sommelier, was intelligent and gracious, never did the fact that the restaurant was perpetually jam-packed and hosting a party in a private room, effect its rhythm. If venturing to Vancouver, make sure Blue Water Cafe is a definite on your itinerary to experience the best of the region’s fish and its people. 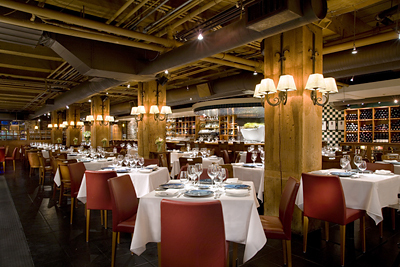 Blue Water Cafe, 1095 Hamilton St, Vancouver, 604-688-8078, http://www.bluewatercafe.net/.